Casinos have been a very important part of the entertainment industry for a long time now. People come to Las Vegas, Atlantic City or such destinations as St. Vincent or Montecarlo from all over the world just to visit and gamble in hopes of hitting the jackpot. Even though you can’t get the complete casino experience on your smartphone, Android casino apps get you pretty close to the real thing. They are a terrific way to pass the time. 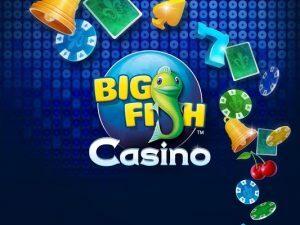 Big Fish Casino: A long time running online casino available on the Play Store. It features a number of games including Blackjack, slots, Roulette, Texas Hold’Em and so much more! It also allows you to play games online with your friends. Even though the app can be bugged at times, it has one of the largest amount of active players in the world. You should not have any trouble finding others to play with at any time. It is a great option and certainly worth your time. Casino Frenzy: This is a new casino game that has received good attention and positive reviews. The game comes with a revolving door of games, so there is always something new for you to do. There is also the so called Frenzy mode which is something you can do in just about any game available in order to make the experience different. There are some featured games as well, like video poker and slots. It is very important for you to remember that casinos are deathtraps for money in general. So if the games are aggressive when trying to get you to purchase a lot of stuff, just remember that you wouldn’t have a very different experience if you were in Las Vegas. GameHouse Casino: This is a simple casino game out there and is great for people who aren’t looking for too much nonsense. The games that are featured here include slots, video poker, and Blackjack. It even features the same array of free bonus stuff so that you can stay engaged. The in-app purchases are quite aggressive though, but that should be expected when you are playing games like this. It is simple and well-developed. Las Vegas Casino: We’ve saved the best for last. This is a very simple casino game available on the Play Store that is the closest you will ever get to Las Vegas without actually visiting Sin City. There are a couple of different slots games, Blackjack and video poker where you can play as many as three hands at the same table, at the same time. It has some interesting animations too and it is quite fun for people who enjoy playing games by themselves. If you do not want to be bombarded with a number of games that you are just not going to play, then this is the best choice for you. It is one of the best ways for you to kill time, irrespective of what time of day or night it is. So what are you waiting for? Try it out today!